Brian Stelfreeze is best known for his time on the Batman titles and the Daymen (which has already been signed up for a television series) and most recently for his Black Panther covers and interiors. This is a man who has taught the best and has been regarded as 1 of the best in the business. 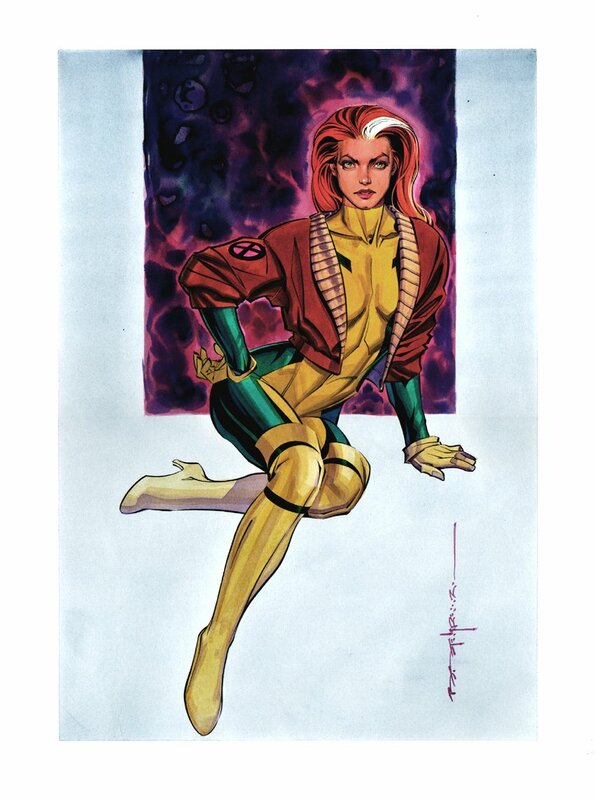 And when he has the time (which is very rare) to do a pin up commission, collectors hold onto those treasures and not much will be found for sale on the open market. Least of all an acrylic painting which he almost never does these days as it takes too long and he rarely has the time. So this is a VERY rare opportunity to own an acrylic painting from someone who is regarded as a modern day master. ALL art on our website (including this one) are able to be purchased with VERY fair time payments, and trades are always considered towards "ANY" art on our website! Just send us an email to mikeburkey@aol.com and we can try to work something out.